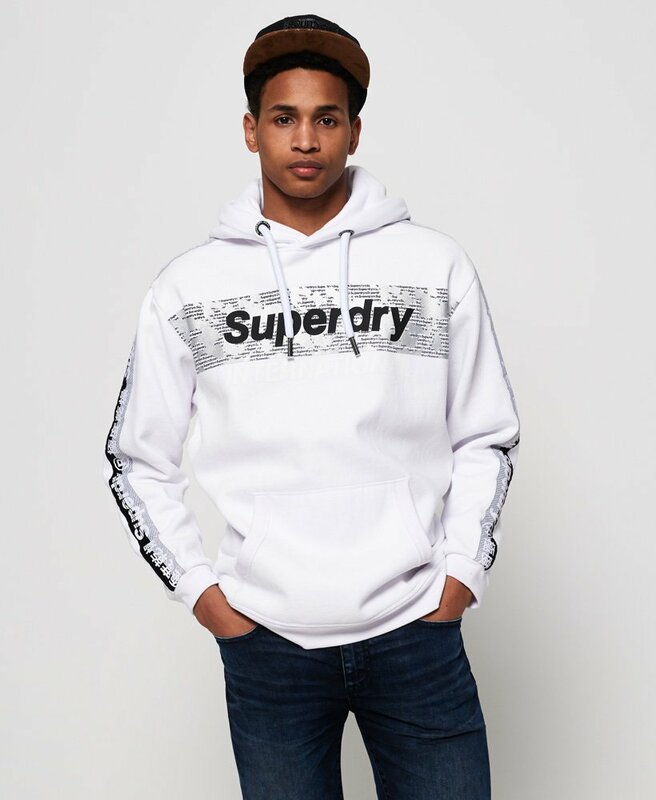 Superdry men's International monochrome oversized hoodie. The perfect partner to jeans and trainers this season, this oversized hoodie features a a crossover drawstring hood, front pouch pocket and textured logo graphic across the chest. The hoodie is completed with logo panelling down the sleeves.